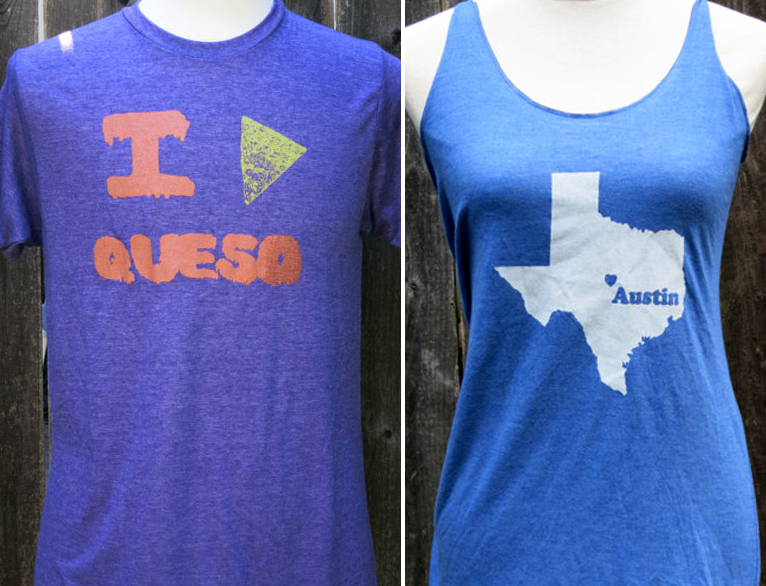 Texas Pride Screen Printed to Wear Your Allegiance on Your Sleeve. Simple Silhouettes & Statements Shared from a Home Studio to Yours. Materials: Silkscreen, Ink, Variety of "Canvases"
You don't always know what your Art business calling will be when you decide to live a creative life. Of course when you get a taste of the technique with the most potential to bring you and your audience pleasure, like Erica Greenhouse did with screenprinting, you should dive in head first. Crafts by Casaverde exists today because Erica took her love of making and applied that to a variety of crafts to find the right one. After a class in printmaking, she saw a bright future design itself in front of her. From there she tested a range of "canvases." Turns out that T-Shirts were the favorite and strong sellers among her target market. Honestly, I think that has more to do with the printed patterns. They lend themselves so well to being worn. They're simple, monochromatic and symbol or statement based. This all helps focus attention on the main matter at hand, like one's love of Texas (sorry I'm a little biased here). Erica loves to draw inspiration for TV, movies, popular culture or local iconography. 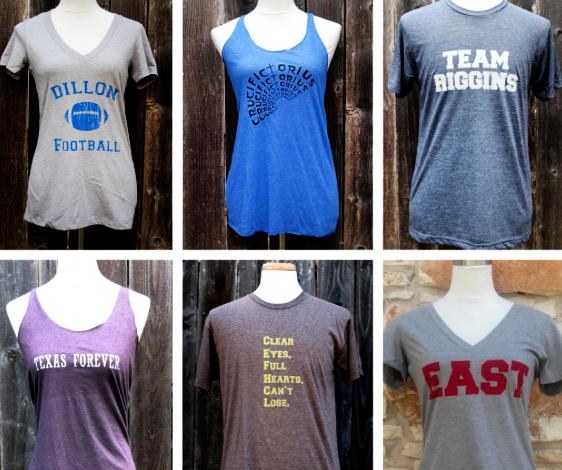 Hence her Texas as home and Friday Night Lights references, among others. Like all great artists, she's always testing the boundaries and keeping an eye on where she can take her art next. In the meantime, she recognizes that most people like to be creative, but may not have the time or money to invest in all that it takes to make some things. Therefore, she happily accepts custom orders. If you dream it, Erica can help you screen print it!